Check out the Jewish Virtual Library and see Life with an Accent listed among biographies. Yad Vashem will place Life with an Accent in their library. The Museum Shop in the United States Holocaust Memorial Museum in Washington, D.C. is selling the book. 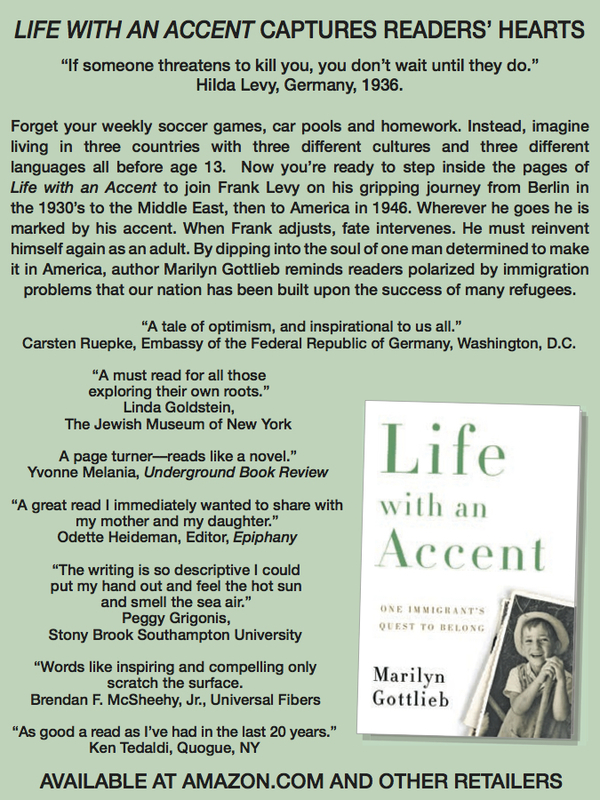 The Quogue library is featuring Life with an Accent in the local authors section. LIteraturhandlung, a group of eight bookstores in Germany including Berlin, Munich and Dachau, will carry Life with an Accent.